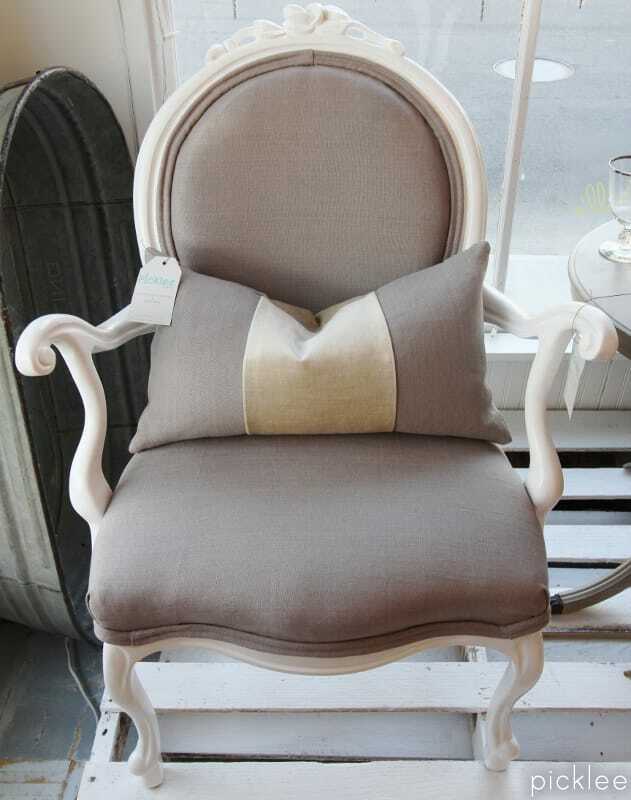 You might remember our “How to Re-upholster an Antique Chair Tutorial” from a few months back. 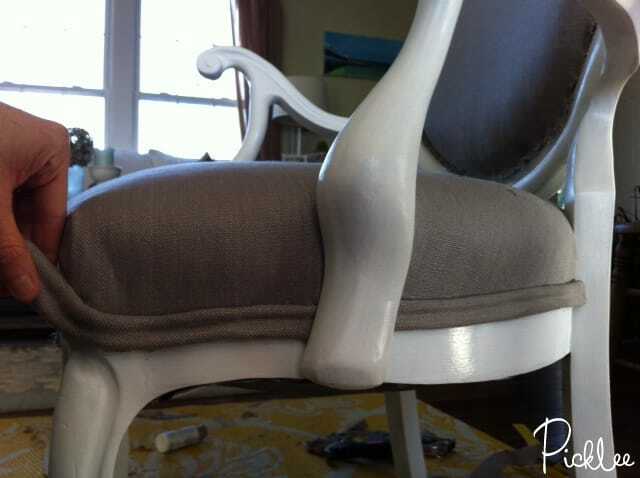 We shared simple step-by-step instructions for reviving & re-upholstering an old chair, along with a promise that our double welt piping tutorial would soon follow. It wasn’t until today, when I was sharing our latest furniture flip, that I realized we had never published the double welt piping tutorial! So, as they say, better late than never! 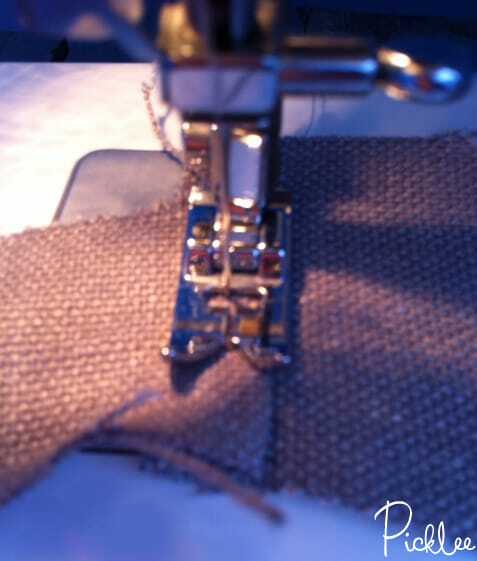 Finally, here it is, our simple tutorial on How to Make Double Welt Piping! First, you’ll need to measure your the perimeter of your item to determine how much piping you’ll need. 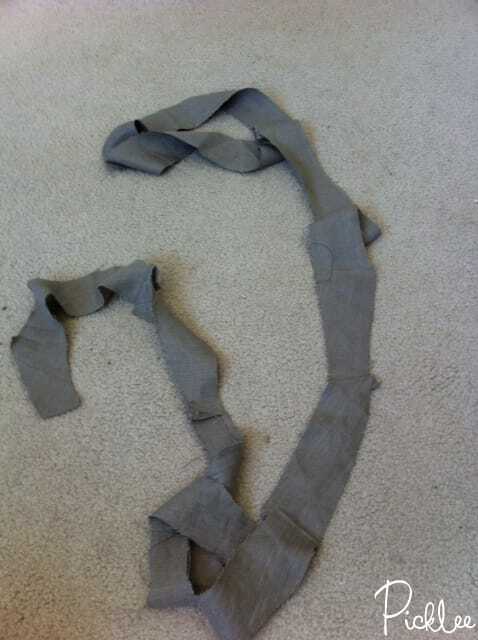 After you’ve measured and added up the perimeter, that will tell you how many feet of fabric (in 2″ strips) you’ll need. Then for the cording, you’ll need to multiply the perimeter by two (since it gets doubled up for double welt piping) to calculate how many feet you’ll need. My chair needed approx. 14 ft. of piping (to go around all the exposed areas), so I needed a 14 ft. long strip of (2″) fabric and 28 ft. of cotton cording. 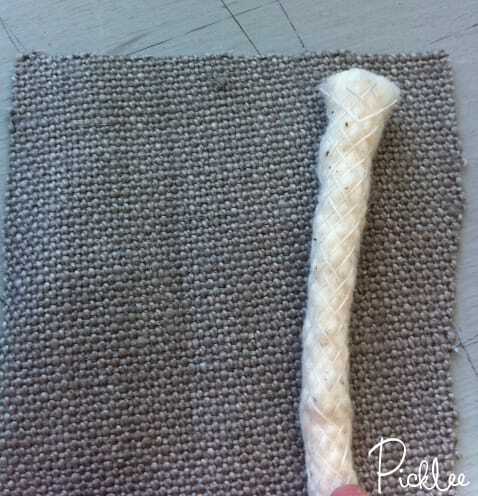 To cut your fabric, start with the longest section of fabric you have, this will leave fewer seems in your piping. Cut out an approx. 2″ wide strip of fabric on the diagonal. Cutting your fabric on the diagonal will give a little more stretch in your fabric, which will make it easier to fold and sew. To cut it out the diagonal, first tug on your fabric in a few directions to see which way has the most stretch, that’s the direction you’ll cut your diagonal on. Once you’ve cut your fabric into 2″ strips, you’ll likely be left with multiple pieces that need to be stitched together. My longest piece of fabric was only 6ft., so I ended up with 3 strips of fabric to make the 14ft. I needed for my double welt piping. If you weren’t lucky enough to fit your entire length into one solid strip, you’ll need to stitch your strips together into one long piece of fabric. Now were ready to insert the cotton cording. Start by cutting your cording into two equal pieces (in whatever length you need, in my case it was two 14 ft. pieces). Placing one end of cotton cording onto your fabric strip and roll the fabric over it, so that it covers the cording completely. Then, place the second cord on top of the fabric, directly next to the first cord. Make sure you push the second cord so that its tightly up against the first cord. 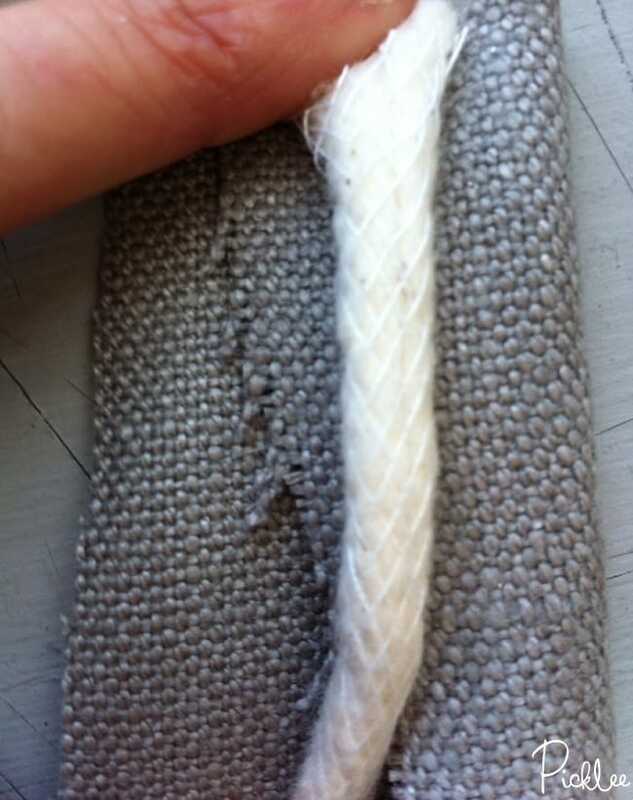 Fold the last section of fabric tightly over the second cord. It’s important to make sure you pull tight so that your piping looks clean! In the photo below, we’re looking at the “clean” side of the piping. 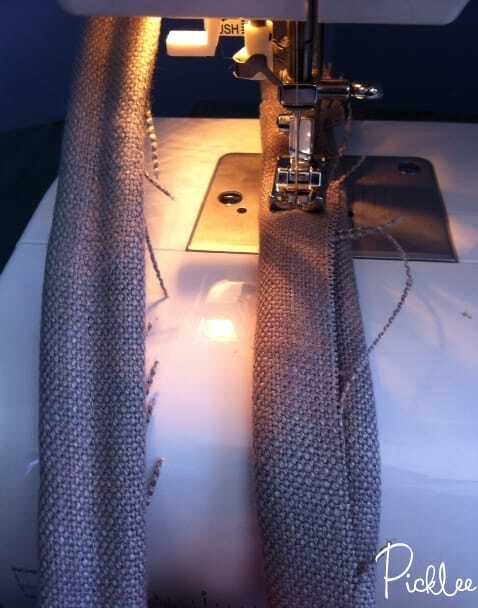 Now it’s time to stitch up the double welt piping! You’ll definitely need your sewing machine for this part. Insert the piping into the sewing machine so that the “bad” side is facing up. The needle should be lined up directly in the center of the piping (between the two cords). Start stitching! You’ll need to continue to continue to fold the cording into the fabric as you go. 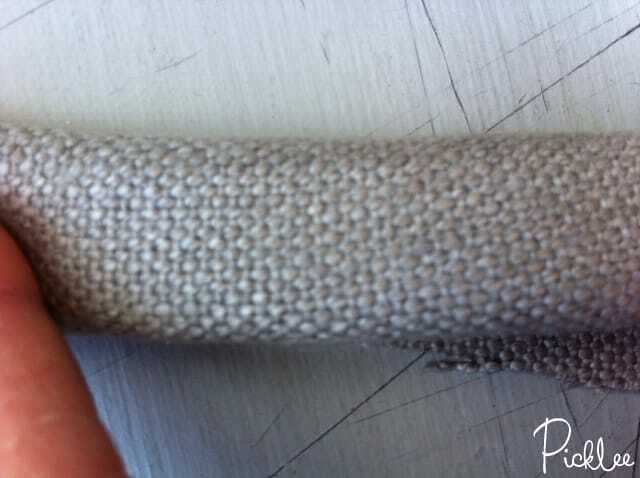 You should be able to stitch 8″ sections before you need to fold in more cording. 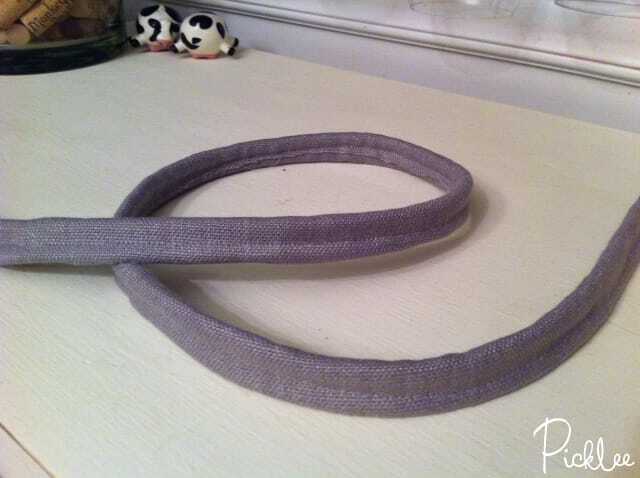 Once you’ve stitched the entire length of your fabric strip, your double welt piping is complete! 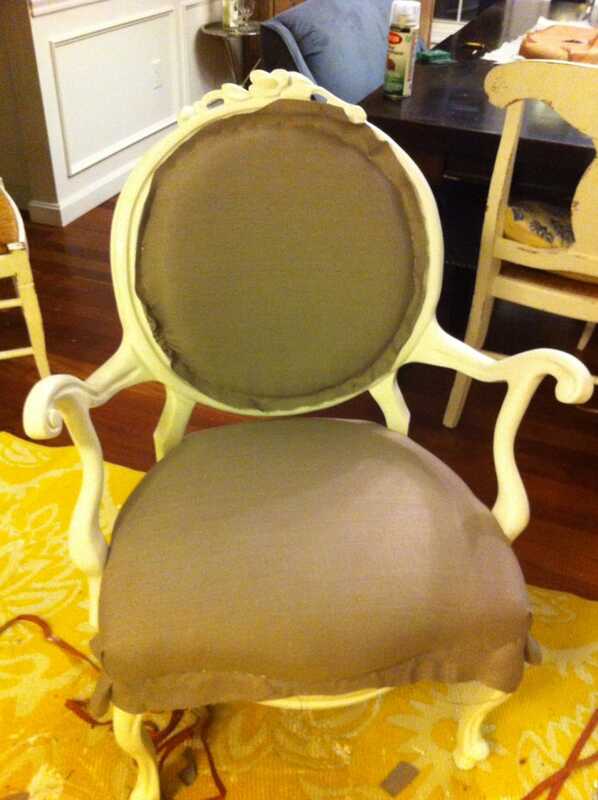 Here’s what the completed chair looked like! 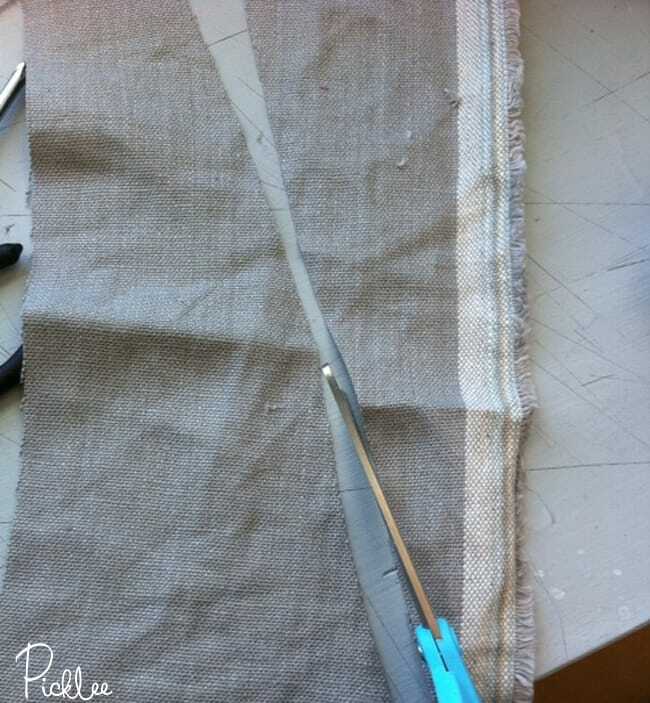 There you have it, the simplest way to make double welt piping! Find more DIY furniture projects here! If you want your cording to look really tight and professional, you’ll get a much better result if you stitch the first cord in alone (as for single welt) and *then* add the second cord and sew between them. It’s more time-consuming, but I think it’s worth the extra effort. thank you! you give me hope that I could actually do this. I’ve always admitted defeat too quickly.